The deep integrations of VeloCloud into the NSX ecosystem will be compelling once VMware has tied NSX management into the VeloCloud APIs. We have heard from some key folks at VMworld that we can expect to see these deep integrations next year. Once complete, we will see extremely powerful control throughout the network with NSX from on premises offices, to data center and also to cloud. End to end security and policy management for the network. Project Dimension was announced and this will be a game changer for the edge. To be able to unify multiple functions into one general purpose computing device at remote locations to provide network access, application utility and services key to the business like IoT, we believe this just may be the solution to the problems NFV was created to solve. The partner ecosystem is an enormous part of the VMware network strategy. We heard of many deeper integrations with VeloCloud and Palo Alto's GlobalProtect Cloud Service and Arista's "Open Framework" security integrations with NSX plus many more. This shows a maturity in understanding VMware is great at select things but needs partners to tie in the other pieces of the puzzle, to round out the solution. We have aligned with many of the same partners independently of VMware as we feel they are the best of breed solutions. Our alignment seems to be validated by VMware's selection of many of the very same partners. VMware is all in on networking. The interest and support we have been getting from key players in the organization has been nothing short of fantastic. We feel they really get where the market is going and how to skate to where the puck will be. WAN Dynamics is in a unique position that we have aligned ourselves with a similar vision to that of VMware's from the start. We know that organizations are moving rapidly to the cloud so will need new models of connectivity in order to maintain cohesion through the transition. This is what we help people do everyday. Our conclusion is that VMware is going to be a fantastic partner for us in the networking world and in ways we never imagined until this year. I have to say their vision is the some of most compelling of any networking company out there right now (them and Arista), and yes, I did just say that VMware is now a networking company. 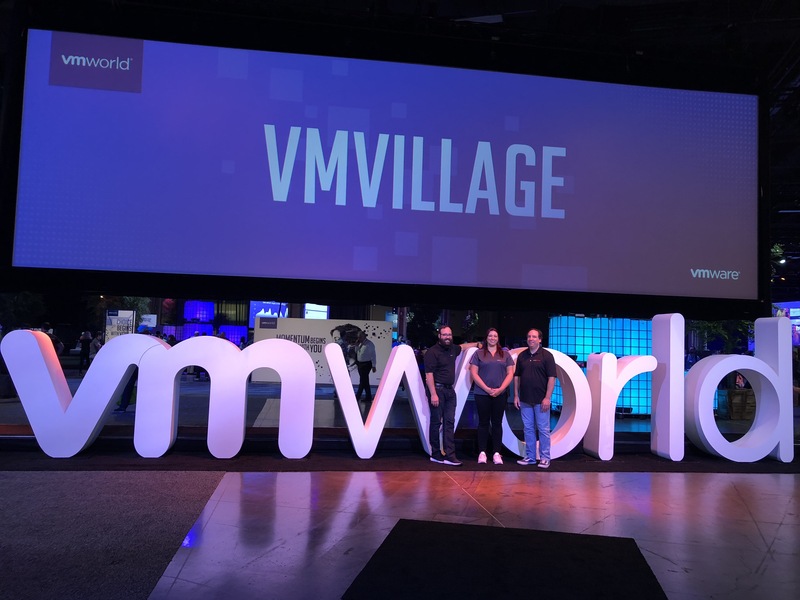 They may not have the history nor all of the pieces in place just yet that make them seem so, but VMware is a going to be a formidable force in the cloud based network from here on out.